For over 50 years, Can-Do has been helping our clients come up with the perfect solutions to improve their brand image, and increase awareness. Our true strength and passion is finding the perfect product that you are looking for. It may be one you haven't even considered, or it may be something that's never even been done before. From quality and creative imprinted and unique custom promotional products in Akron, Cleveland, Canton, Northeast, Ohio, and many more areas, specialized solutions are really what set us apart. 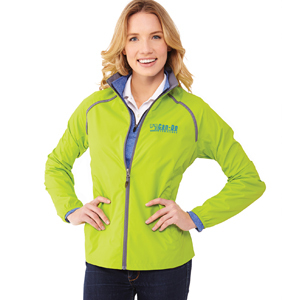 Don't be intimidated by the thousands of quality and creative imprinted or unique custom promotional products that we have available. We're here to guide you along the way. 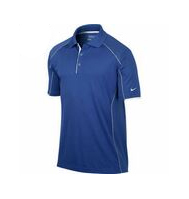 Our Can-Do Picks feature items that have a proven record of success. And if you just can't think of what exactly you want, then call us and explain what you need them for, and we'll help you come up with the perfect solution wherever you are in Akron, Cleveland, Canton, Northeast, Ohio, and many more areas. 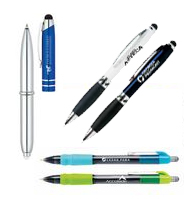 How about akron Promotional Products, Cleveland ohio Creative Promotional Products , Cleveland Ohio Quality Promotional Products, Creative Promotional Products akron, Creative Promotional Products canton, Creative Promotional Products cleveland, Creative Promotional Products cleveland ohio, Creative Promotional Products northeast ohio, Creative Promotional Products Ohio? Do you want affordable and quality akron Promotional Products, Cleveland ohio Creative Promotional Products , Cleveland Ohio Quality Promotional Products, Creative Promotional Products akron, Creative Promotional Products canton, Creative Promotional Products cleveland, Creative Promotional Products cleveland ohio, Creative Promotional Products northeast ohio, Creative Promotional Products Ohio, imprinted Promotional Products akron, imprinted Promotional Products canton, imprinted Promotional Products cleveland ohio, imprinted Promotional Products northeast ohio, imprinted Promotional Products Ohio, Quality Promotional Products akron, Quality Promotional Products canton, Quality Promotional Products cleveland ohio, Quality Promotional Products northeast ohio, Quality Promotional Products Ohio? So if you are looking for akron unique custom Promotional Products, Cleveland ohio unique custom Creative Promotional Products, Cleveland Ohio unique custom Quality Promotional Products, Creative unique custom Promotional Products akron, Creative unique custom Promotional Products canton, Creative unique custom Promotional Products cleveland, Creative unique custom Promotional Products cleveland ohio, Creative unique custom Promotional Products northeast ohio, Creative unique custom Promotional Products Ohio, unique custom Promotional Products akron, unique custom Promotional products canton ohio, unique custom Promotional Products cleveland, unique custom Promotional Products cleveland ohio, unique custom Promotional Products northeast ohio, unique custom Promotional Products Ohio, unique custom imprinted Promotional Products akron, unique custom imprinted Promotional Products canton, unique custom imprinted Promotional Products cleveland ohio, unique custom imprinted Promotional Products northeast ohio, unique custom imprinted Promotional Products Ohio, unique custom Quality Promotional Products akron, unique custom Quality Promotional Products canton, unique custom Quality Promotional Products cleveland ohio, unique custom Quality Promotional Products northeast ohio, unique custom Quality Promotional Products Ohio, akron custom Promotional Products, Cleveland ohio custom Creative Promotional Products , Cleveland Ohio custom Quality Promotional Products, Creative custom Promotional Products akron, Creative custom Promotional Products canton, Creative custom Promotional Products cleveland, Creative custom Promotional Products cleveland ohio, Creative custom Promotional Products northeast ohio, Creative custom Promotional Products Ohio, we got you covered! 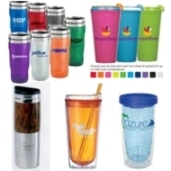 You can also avail of our affordable akron Promotional Products, Cleveland ohio Creative Promotional Products , Cleveland Ohio Quality Promotional Products, Creative Promotional Products akron, Creative Promotional Products canton, Creative Promotional Products cleveland, Creative Promotional Products cleveland ohio, Creative Promotional Products northeast ohio, Creative Promotional Products Ohio, as well as our quality akron Promotional Products, Cleveland ohio Creative Promotional Products , Cleveland Ohio Quality Promotional Products, Creative Promotional Products akron, Creative Promotional Products canton, Creative Promotional Products cleveland, Creative Promotional Products cleveland ohio, Creative Promotional Products northeast ohio, Creative Promotional Products Ohio, by browsing our website. We use only quality materials to produce quality akron Promotional Products, Cleveland ohio Creative Promotional Products , Cleveland Ohio Quality Promotional Products, Creative Promotional Products akron, Creative Promotional Products canton, Creative Promotional Products cleveland, Creative Promotional Products cleveland ohio, Creative Promotional Products northeast ohio, Creative Promotional Products Ohio, imprinted Promotional Products akron, imprinted Promotional Products canton, imprinted Promotional Products cleveland ohio, imprinted Promotional Products northeast ohio, imprinted Promotional Products Ohio, Quality Promotional Products akron, Quality Promotional Products canton, Quality Promotional Products cleveland ohio, Quality Promotional Products northeast ohio, Quality Promotional Products Ohio. We also have the right equipment to help us produce quality results on akron Promotional Products, Cleveland ohio Creative Promotional Products , Cleveland Ohio Quality Promotional Products, Creative Promotional Products akron, Creative Promotional Products canton, Creative Promotional Products cleveland, Creative Promotional Products cleveland ohio, Creative Promotional Products northeast ohio, Creative Promotional Products Ohio, imprinted Promotional Products akron, imprinted Promotional Products canton, imprinted Promotional Products cleveland ohio, imprinted Promotional Products northeast ohio, imprinted Promotional Products Ohio, Quality Promotional Products akron, Quality Promotional Products canton, Quality Promotional Products cleveland ohio, Quality Promotional Products northeast ohio, Quality Promotional Products Ohio. If you want to know more about akron Promotional Products, Cleveland ohio Creative Promotional Products , Cleveland Ohio Quality Promotional Products, Creative Promotional Products akron, Creative Promotional Products canton, Creative Promotional Products cleveland, Creative Promotional Products cleveland ohio, Creative Promotional Products northeast ohio, Creative Promotional Products Ohio, imprinted Promotional Products akron, imprinted Promotional Products canton, imprinted Promotional Products cleveland ohio, imprinted Promotional Products northeast ohio, imprinted Promotional Products Ohio, Quality Promotional Products akron, Quality Promotional Products canton, Quality Promotional Products cleveland ohio, Quality Promotional Products northeast ohio, Quality Promotional Products Ohio, contact us today! You can also ask for quotation on akron Promotional Products, Cleveland ohio Creative Promotional Products , Cleveland Ohio Quality Promotional Products, Creative Promotional Products akron, Creative Promotional Products canton, Creative Promotional Products cleveland, Creative Promotional Products cleveland ohio, Creative Promotional Products northeast ohio, Creative Promotional Products Ohio, imprinted Promotional Products akron, imprinted Promotional Products canton, imprinted Promotional Products cleveland ohio, imprinted Promotional Products northeast ohio, imprinted Promotional Products Ohio, Quality Promotional Products akron, Quality Promotional Products canton, Quality Promotional Products cleveland ohio, Quality Promotional Products northeast ohio, Quality Promotional Products Ohio.